Considerable research effort, over more than 30 years, has been directed toward better understanding of the way people respond to diverse and changing landscapes. Knowledge of human responses to a changing world is an essential ingredient in successful implementation of measures which protect our socio-ecological wellbeing. However, decision-making seldom flows from individual pieces of research. Evidence needs to be synthesised through systematic procedures, including meta-analysis, before having even the potential to influence policy makers. This paper reviews evidence synthesis in the field of landscape aesthetics, especially in the context of wind energy and forest management. It looks then at the impact of this research, as expressed in guidelines and policies and finds that while there are some meaningful links, the individuality of each landscape change makes empirical findings hard to generalise, beyond a rather superficial level, and their application, especially in a political context, problematic. Perceptions of the quality of the environments in which we live and recreate are intrinsic to our attitudes to change, development and resource management. Some aspects of environmental management have, over recent decades, attracted more public attention than others. Those becoming topics of debate, and with the capacity to swing electoral sentiments, have often also attracted research attention. A sector of the public may become especially concerned by the effects of management on their local environment (e.g. air or water quality), the regional or national environment (e.g. river basin health) or the global environment (e.g. climate change). It is, however, local issues that are most likely to evoke public concern about aesthetic issues. This might be limited to specific effects on the local scenery (e.g. wind turbines) or the scenic component may be also linked to more diverse concerns (e.g. clear-felling of forests typically also suggests ecological damage). National and global environmental issues are generally about much more than just scenery and aesthetics. Nevertheless, even in these cases, public responses are often triggered by visual imagery. Conservation campaigns may employ images of wild and scenic rivers under threat, beaches despoiled by plastic refuse, wetlands consumed by housing, polar bears forced into urban areas, or city-wide flooding. The list goes on. Thus, visual aspects of environmental change are at the heart of many socio-ecological issues. This paper looks briefly at environmental interventions in general and then focuses on changes at the landscape scale, and primarily those which provoke strong reactions on aesthetic grounds. It is argued that changes to policy only occur when a sufficient body of evidence exists and this commonly emerges from synthesis of a substantial body of research. Section 2 considers human interventions in the environment and the need for synthesised bodies of evidence to support policy and decision-making. Section 3 reviews efforts to synthesise knowledge in the domain of landscape assessment, and especially in relation to wind energy and forest management. Section 4 looks at the degree to which this research has, or has not, made its way into policy and decision-making. Section 5 discusses possible fruitful research directions and is followed by a brief conclusion. The non-commensurate distribution (both spatial and temporal) of cause and effect (Hale 2010, p. 256). “This separation between the polluter and those who suffer from that pollution makes it far easier for those who benefit from the status quo, and have a strong vested interest in an ineffective response, to slow our collective response”. Uncertainty regarding outcomes and the consequences of alternative actions. As Burgman et al. (2012, p. 1956) state: “Typically, people who manage ecological systems are confronted by imprecise, sporadic, or unavailable data, high stakes, limited understanding, and urgently needed decisions”. While this list may be incomplete and is certainly a ripe topic for further research, this paper is primarily concerned with the last two points identified above. The resultant uncertainty about outcomes and their overall value can be used as excuses for inaction. Even when politicians are pushed into action, they must find ways to reassure the public that their proposed interventions will correct the problems that are concerning the community and that the benefits outweigh the costs. Bishop (2019) proposed a categorisation of environmental interventions based on defining factors such as their rationale, spatial scale, temporal scale, degree of impacts, level of uncertainty and agent of change. So, for example, the problem with the high latitude holes in the ozone layer prompted remedial action, at global scale, with medium-long-term implications, high remedial impact and low uncertainty. A worldwide ban on use of chlorofluorocarbons (CFCs) was a response with low uncertainty and widely agreed positive benefit/cost ratio. Changes in the visual landscape are often trivial compared to current global environmental threats, but nevertheless can have considerable local importance. In the landscape, issues are typically limited in their spatial scale simply because changes to aesthetic values are only visible within an observer’s viewshed. As Gobster et al. (2007, p. 960) put it: “The scale at which humans as organisms perceive landscapes, what we term the perceptible realm, is particularly important because this is the scale at which humans intentionally change landscapes, and these changes affect environmental processes. At this scale, landscape perception thus becomes the key process for connecting humans with ecological phenomena”. However, the many ways in which humans connect to nature locally can clearly influence their attitudes and behaviours to the broader environment (Klaniecki et al. 2018, p. 1375). Thus, the visual landscape is of considerable importance to its human population. Concern for aesthetics and consequent environmental implications can prompt responses at a national or international level. Several nation-states have policies and guideline that include protection of the visual environment as a key objective. Examples include: the USA National Environmental Policy Act (NEPA) 1970; the UK Wildlife and Countryside Act 1981; and the New Zealand Resource Management Act 1991. At an international level, the European Landscape Convention (Council of Europe 2000) seeks to raise awareness of the value of living landscapes, leading to their protection, through effective planning and management. Even more globally, the Antarctic continent is, in effect, governed by international treaties (the Antarctic Treaty System), and from an environmental perspective, by the Protocol on Environmental Protection to the Antarctic Treaty (the Madrid Protocol). The thirty-three signatories of the Protocol have agreed that the wilderness and aesthetic values of the continent are a “fundamental consideration” and all activities, including tourism, require environmental assessment. It was the NEPA, in particular, that prompted extensive research into processes for assessing the visual landscape and its value to people. Approaches to such understanding have been categorised by diverse authors including Zube et al. (1982), Daniel and Vining (1983) and Lothian (1999). Over time it is the objective application of methods based on subjective public response which have come to dominate. Politicians can argue with experts, but have more difficulty going strongly against public opinion. Elicitation of subjective public responses can involve taking people into real environments but more often some form of imagery is used instead in order to reduce the logistical difficulties (and therefore costs). This approach, initiated in the mid-1980s (e.g. Orland 1986), also allows the imagery to be adjusted in order to test responses to alternative views. The imagery may be static (photographs, edited photographs or computer rendered scenes), dynamic (interactive panoramas, video recordings of a dynamic location, video walk-throughs or rendered animations) or interactive (exploration of real or virtual worlds, interactive design, augmented reality). All have been used to test people’s responses to the visual landscape. Responses to the visual environment, including landscapes, are often distinguished as affective and cognitive (Kaplan 1987) to separate immediate visceral responses (“the heart”) from more considered responses, taking in other knowledge (“the head”). Responses have been widely studied using perception tests with the wide range of imageries summarised above. These responses tend to be primarily affective but when they are also altered by accompanying information about the scene (Ford et al. 2009b; Gundersen et al. 2017) they are clearly also, at least in part, cognitive. Most commonly, they involve the respondent giving a written or verbal (stated) response to the presented imagery; however, in an interactive situation, the person’s behaviour can be tracked and their responses revealed by their actions. The number of studies using stated preference far exceeds those using revealed preference despite a common argument that revealed preference (e.g. path choice in a virtual environment) has greater ecological validity (Bishop et al. 2001; Lovreglio et al. 2016). Perception test results are frequently used to build response models: if the landscape has characteristics A, B and C people will tend to rate it highly. If it has characteristics D, E and F they will like it less. Most often linear regression models are used (beginning with Shafer and Brush 1977) although logistics models (Shang and Bishop 2000) and neural nets (Bishop 1996; Sung et al. 2001) have also been experimented with. These models can then, at least in principle, be used to predict the consequences of landscape changes on public perceptions and thus provide evidence of likely public reactions (likelihood of protests or litigations) and are a starting point from which to determine the cultural value of landscapes. The ecosystem services (ES) concept developed by Costanza et al. (1997) included aesthetics amongst the cultural values defined within ES. These values were reviewed in detail by Milcu et al. (2013). An approach to monetarisation of the aesthetic externalities associated with landscape change was adopted by van van Berkel and Verburg (2014) and others. People were asked about their willingness to pay for simulated landscape alternatives. Grêt-Regamey et al. (2007) took a similar approach to quantify the impacts of ski run development on alpine aesthetics, and later integrated these aesthetic services with avalanche protection and habitat values as key ecosystem services (Grêt-Regamey et al. 2008). The relationship between ecology and aesthetics has prompted a significant debate. On the one hand authors, such as Gobster (1999), have argued that a purely scenic valuation of landscape is superficial and unproductive in regard to protection of ecological values, while an “ecological aesthetic offers guidance for merging biological and ecological concepts of sustainability with aesthetic appreciation. Experience is a key component of this aesthetic, in which both intellectual and affective capacities engage an individual to understand, appreciate, and ultimately act upon the environment in a purposeful way”. (p. 61) Scenic aesthetics was subsequently strongly defended by, in particular, Parsons and Daniel (2002, p. 54). They argued that the human aesthetic response is supported by evolutionary models and neurobiological and cognitive science research, whereas “calls for a new ecological aesthetic are inappropriate to the extent that they are based on the presumed superficiality of perceptual and affective processing, as well as …. (the) easy malleability of environmental preferences”. This debate reflects the distinction between affective and cognitive responses and as Hill and Daniel (2007, p. 37) argue: “whether ecological information can affect basic perceptual preferences (e.g. scenic beauty judgments) or more cognitively loaded multidimensional judgments of acceptability remains an important question for environmental research and practice”. Any evidence purporting to reduce uncertainty in respect of landscape preferences must be considered relative to these distinctions. Decisions can be made on the basis of intuition, sometimes bolstered by relevant experience (the expert paradigm—as defined by Zube et al. 1982), or on the basis of relevant information. Sometimes political factors intervene but, in enfranchised societies where people have a meaningful vote, these too tend to be based on the view of electorates which can be well or poorly informed. Sometimes the necessary information, evidence, is uncertain and this can be used by opponents to discredit “informed” proposals. Also, when evidence is used it may be carefully selected to inflate the level of uncertainty (e.g. Biber 2012, p. 478; Sarewitz 2004, p. 386). Thus, evidence-based policy and decision-making, while sounding rational and even wise, is less common and more difficult to implement than we might expect. In the context of medical research, which is highly funded and of considerable public interest, Lavis et al. (2003, p. 222) identify four audiences for knowledge: the general public/service recipients (e.g. citizens, patients, and clients), the service providers (e.g. clinicians), managerial decision-makers (e.g. managers in hospitals, community organisations, and private businesses), and policy decision-makers at all government levels. In the visual landscape context, these four audiences reduce to two. The public (users of the environment) remain, as do government policy makers, but the latter, at least for public lands, are also the managers and service providers. Communications between these two audiences for research may also be influenced by differences in attitudes. For example, Dramstad and Fjellstad (2011, p. 331) suggest: “it may seem that biodiversity and cultural heritage values are more highly regarded by academic researchers and planning experts than by landowners and the general public”. Misuse of evidence is particularly easy in circumstances, such as long-term environmental change, in which there is more uncertainty arising from both incomplete science and longer time horizons. Consequently, decision-makers fall back on their experiential knowledge in setting management directions without recourse to research-based evidence (Pullin et al. 2004, p. 250; Cvitanovic et al. 2014, p. 4; Addison et al. 2015, p. 154). Even more fraught is the context in which landscape aesthetics are a major factor, with renewable energy infrastructure and forest management as key examples. This paper explores the transfer, in this context, of research into usable and useful evidence for decision-making relating to environmental and visual landscape changes—in particular wind turbines and forest management. As O’Leary et al. (2016, p. 76) argue: “evidence-based environmental policy is becoming a crucial element within wider societal debates on human impacts on the environment and future actions for environmental protection. Evidence may be used to inform policy from a number of sources including expert knowledge, experiential evidence, primary research, and review articles amongst others, each with their own potential biases and problems”. However, as the volume of evidence increases its quality may decrease. O’Leary et al. (2016, p. 76), citing Larsen and von Ins (2010), Li and Zhao (2015) and Pautasso (2012), argue that “increasing publication rates of primary literature have resulted in ever-increasing evidence of variable quality for decision-makers to draw from”. Given the volume of evidence, its sometimes conflicting implications, the uncertainty in its conclusions and even its sometimes doubtful quality, it is not unreasonable for even the best-intentioned decision-makers to wonder what evidence they can really trust. Those with other agendas find it too easy to dismiss findings as being too lacking in consensus to be compelling. Thus, again drawing on O’Leary et al. (2016, p. 76) “Effective and unbiased integration of published scientific evidence into policy and management is therefore impractical without evidence synthesis”. Indeed, individual papers or reports tend to get little public exposure (unless related to what we eat or drink), and it is only a growing body of coherent and consistent evidence that attracts notice. The importance of bringing different sources of evidence together is apparent in the emergence of organisations such as Evidence Synthesis International which offers this definition: “Evidence synthesis is the interpretation of individual studies within the context of global knowledge for a given topic”. (https://evidencesynthesis.org/what-is-evidence-synthesis/). Cooke (2018) argues that it is the scientific community who are best equipped to undertake such synthesis, adding (p. 5): “Taking the time to synthesize data while acknowledging bias and limitations in a transparent manner will almost always be welcomed with open arms by end users”. However, coherence and consistency are not guaranteed by evidence synthesis. O’Leary et al. (2016, p. 76) estimated that, in the peer-reviewed environmental literature between 2012 and 2015, between 40 and 80 new review (evidence synthesis) articles intended to inform decision-making were published each month. Within these, they identified multiple or overlapping reviews addressing the same basic issue or question: for example, Claudet et al. (2008) and Stewart et al. (2009) both reviewed evidence relating to the size of marine reserves. More worrying, Wade et al. (2010) explored misrepresentation of data resulting from conflicts of interest with funding organisations, while Biber (2012) and Pullin and Knight (2012) both identified a problem with selection of primary data to support an adopted position or belief (so-called policy-based evidence). Evidence review: articles that collate and summarise multiple primary studies related to a specific, policy-relevant question. Evidence synthesis: combines results from primary studies to derive findings from all available evidence. Meta-analysis: “A set of statistical methods for combining the magnitudes of the outcomes (effect sizes) across different data sets addressing the same research question” (Koricheva et al. 2013, p. 8). Narrative synthesis summarises and draws conclusions from primary research often supplemented by the reviewers’ own experience and sometimes limited quantitative analysis. Systematic review: use of “systematic and explicit methods to identify, select and critically appraise relevant research, and to collect and analyse data from the studies that are included within the review. Statistical methods (meta-analysis) may or may not be used to analyse and summarise the results of the included studies” (Collaboration for Environmental Evidence 2013, p. 78). The following sections look at examples of evidence synthesis in the landscape domain, particularly the areas of visual impact from infrastructure and forest management. The examples are considered in terms of the type and effectiveness of the evidence synthesis and its pragmatic relevance. The starting points for evidence-based decision-making with regard to the visual landscape are perception studies and visual analysis. The endpoint is potentially a quantitative assessment (in ES provision and/or monetary value) of the aesthetics of landscapes under threat. Such a quantification should not, of course, be considered to the exclusion of other ES factors or the intrinsic values of the natural world. It was argued above that individual studies are seldom persuasive. This is especially true in an area such as aesthetics in which there are competing paradigms of philosophy and assessment. The eye of the beholder is often mentioned, but the relevance of this becomes entangled in confusing language. Lothian (1999, p. 178), for example, in reviewing the dominant landscape assessment paradigms gave a characteristic of one as “subjectivity presented as objectivity” and the other as “objective evaluation of subjectivity”. It is really only in the case of the latter, which Lothian refers to as the “subjectivist or psychological paradigm” that a body of evidence is possible. The alternative “objectivist or physical paradigm” could also be referred to as “expert opinion” and has very limited empirical underpinnings. Indeed, Lothian (2017) reviews a number of studies comparing expert views with public views and finds only a 0.60 correlation. Nevertheless, when a body of empirical evidence is not available, or not widely accepted, governments tend to fall back on “experts” to provide policy advice. These experts cannot always be trusted. In other domains, and perhaps even more so in landscape assessment, a body of evidence is required before research is likely to find expression in meaningful guidelines, decisions or policies. This paper explores the process of evidence synthesis, including the quantitative device of meta-analysis in the context of landscape assessment. Multiple synthesis exercises are reviewed and juxtaposed in a synthesis of syntheses. Most importantly, the degree to which these outcomes find their way into public policy is discussed. Some conclusions are proposed regarding the processes and outcomes of the body of evidence synthesis in the application of visual perception studies and analysis. Amongst recent efforts to synthesise evidence about human perceptions of landscape is the work of Andrew Lothian (2017). Lothian, searching relevant journals, using Google Scholar and concentrating on studies that measure preferences (under the subjectivist or psychological paradigm), identified 1388 references from 1962 to 2014. With 40–50 papers per year in recent times, and with numbers growing as more papers come from newer sources such as China, a further 200 or more can be added. In compiling the evidence from these studies, Lothian divided the visual aspects of landscape into several overlapping classes: land use, land form, coastal land form, land cover, forests, water, naturalness, diversity, colour, cloud cover and other factors (such as the presence in the landscape of people, farm animals or native animals). On the basis of this review, and through comparison with several of his own studies, Lothian drew a series of conclusions which are summarised in Table 1. These form a useful interpretation of the findings. Some of these, such as the influence of water, are likely little changing over time and are reinforced by many studies. Others, such as the influence of colour are based on a smaller body of evidence and may be more ephemeral. Perceived naturalness and ecological naturalness have parallels but are not identical. It is noteworthy, however, that while studies in this space typically reference earlier works along similar lines, very few attempt to replicate previous work. More typically a new study will occur in a different type of landscape, with different vegetation types, and often in a different country than the prior studies. Correlations and regression models (most often linear) are used to test the relationship between landscape preference and the extent of prominence of various elements in the landscape. These statistical models sometimes appear to show a quite high degree of explanation of the variance in landscape preference (with R-squared values up to 0.7 or 0.8 being reasonably common); however, they do not often translate well to other locations. Consequently, as we shall see below, meta-analyses tend to be less convincing than the original studies. An example which does not involve visual simulation or analysis is instructive because it is multinational and points to the key drivers of landscape change, thus putting the visual aspects into a broader context. Plieninger et al. (2016) conducted a systematic review of the drivers of landscape change in Europe. Amongst the previously identified causes of landscape change are urbanisation, agricultural intensification, land abandonment and forest expansion, international commerce and trade, new demands of land for nature conservation, and development of renewable energy uses (Plieninger and Bieling 2012). Their review covered 144 case studies, from Spain (17 studies), the Czech Republic (16), Italy (16), Germany (13), and Greece (10) and 18 other countries. They were disappointed to find nothing from several Eastern European countries (e.g. Belarus, Russia, Serbia, or Ukraine). Not surprisingly Plieninger et al. found that the studies were diverse in their methods and scales (both spatial and temporal), the findings were regionally dependent and there are typically multiple drivers of change. More interestingly, they found that land abandonment was the most prominent proximate driver of landscape change—especially in southern and eastern Europe. In discussion, the paper pointed (p. 213) to clear underrepresentation of stable landscapes in the studies, reflecting “a larger trend in landscape research to concentrate on processes of change rather than on stability of landscapes”. Amongst the reasons why stable landscapes should receive more attention was the argument (p. 213) that “stable landscapes may act as repositories of social-ecological memory that store experiences of living pasts and provide sense of place to individuals and societies”. This provides a link to consideration of the visual landscape. Duarte et al. (2018, p. 1248) included aesthetics as one of several “landscape-services” in their meta-analysis of the contributions of complexity, aggregation, heterogeneity, connectivity, fragmentation and proportions of natural areas and non-crop areas in the landscape. They found only six studies that evaluated aesthetic value (i.e. the perception of landscape as a cultural service) from a landscape perspective. They found that this service increased in response to landscape aspects such as heterogeneity, with the relationship being quite similar regardless of landscape type (rural, agricultural, mixed rural–urban or natural habitats). They state: “Although many other articles have studied this landscape service, their data was not adequately reported for inclusion in our meta-analysis. However, the conclusions of these excluded articles are similar in that landscape heterogeneity is important to peoples’ perception of aesthetic value”. (p. 1255). Uuemaa et al. (2013) synthesised the evidence (from 13 studies) for the value of landscape indices in estimation of landscape services. In relation to the information function “landscape aesthetics” (one of three main groups from de Groot’s (2006) classification of landscape functions: (1) habitat, (2) regulation, and (3) information), they concluded: “Numerous studies have found relationships between visual perception and landscape structure. People generally tend to prefer more open and heterogeneous landscapes where water is present” (p. 104). Dramstad et al. (2006, p. 472) found that people’s landscape preferences are also related to spatial configuration, and that compositional metrics may be suitable as indicators of visual landscape values. According to Antrop (2005, p. 37) landscape quality assessment is highly dependent on data quality. Over broad areas terrain models and land cover are the primary data sources. However, terrain models may be too coarse and land cover categories too broad for meaningful analysis. Recent changes in land cover may also be missing from the data. Ode et al. (2010) suggested that landscape photographs can be a useful addition to mapped land cover classes since simple descriptions like “abandoned land” or “woodland” may not be meaningful guides to visual quality. Uuemaa et al. (2013, p. 105) conclude: “Landscape metrics definitely cannot measure all the visual aspects of landscape but they can provide additional information in terms of monitoring aesthetic values of landscapes. In our opinion there is lack of studies where landscape metrics are tested as potential indicators for measuring different aspects of landscape visual character such as openness, naturalness, diversity, etc”. In our analysis of the terminology of visual quality, we discovered four levels of abstraction in the terminology ranging from the abstract conceptual level to concrete measures of descriptors of the physical landscape. From this analysis we developed a hierarchical structure of four levels relating to the levels of abstraction: concepts > dimensions > landscape attributes > indicators. In this framework the concept and the dimension level are both abstract conceptual levels, whereas landscape attributes and indicators are aspects of the physical landscape. The terminology was ordered and grouped into this scheme. Concepts can be seen as an umbrella term under which several visual dimensions can be found. These dimensions describe different aspects of the concept at an abstract level. Dimensions are determined by physical attributes in the landscape, while the landscape attributes, in turn, can be described using visual indicators. The indicators represent the level at which the physical landscape attributes are counted, measured or scaled to allow different landscapes to be compared or to identify change in the same landscape over time (p. 233). Stamps (2004) undertook meta-analysis of studies to determine whether they collectively support the Kaplan et al. (1989) model of visual preference based on four visual parameters. These parameters are complexity, legibility, coherence and mystery. Coherence and complexity are top-level concepts in the hierarchy of Tveit et al. (2006) but legibility and mystery are not explicit in that hierarchy, but are closely related to the visibility, openness, enclosure and spaciousness dimension of the visual scale concept. Stamps used the mathematics in Hedges and Olkin (1985) in conducting his meta-analysis of 61 photograph-based perception studies (with over 3000 stimuli from natural and built environments and 12,000 respondents in all) which had compared visual preference with variables which could be seen as covariant with these four concepts/dimensions. Stamps (2004, p. 13) found very limited support for each of his five starting hypotheses: that each of mystery, complexity, legibility and coherence is positively correlated with preference, and that the correlation between mystery and preference is greater in natural scenes than in urban ones. What he found was that “Sometimes mystery was negatively related to preference (r = −0.45); sometimes it was strongly related to preference (r = +0.95); sometimes it was not related to preference (r = 0.09). Similar findings were obtained for all four information variables. One possible reason might be that there are problems in meta-analysis per se that would introduce heterogeneity into the findings. However, findings on other topics of interest to environmental psychologists (equivalence of scaling methods, validity of static colour simulations, demographic effects on preferences; use of information theory to investigate effects of numbers of elements and number of different kinds of elements on preference and arousal) have all converged on far smaller samples of studies”. Also, there was no difference in the correlation of mystery and preference between 474 scenes of nature and 190 scenes of built environments. Stamps concluded that the proposed theory was not supported by reproducible results. He was equivocal on whether this was a problem with the theory or a problem with the experimental methods used in, at least some of, the studies. As described above, over the last two decades there have been a number of attempts to synthesise the evidence about the aesthetics of landscape. These have involved studies seeking to better resolve the language used in describing aspects of the landscape which might be effective predictors of aesthetic preference (Tveit et al. 2006), studies which have meta-analysed metrics or indices based on selected descriptors (Uuemaa et al. 2013; Duarte et al. 2018) and studies which have compared assessed descriptors from photographs with preference (Stamps 2004). None have identified any profound results which are translatable to policy. In addition to studies seeking generalisable/generic relations between landscape characteristics and aesthetic preference, there are a number of studies within particular domains and with a focus on the impact of landscape change, rather than on the qualities of the landscape per se. Human activities which rapidly change the landscape include major infrastructure development (e.g. transmission lines, wind turbines, solar arrays) and forest harvesting/clearing. Others move more slowly but can be even more profound (e.g. rewilding after land abandonment, climate change impacts). Considerable research, and evidence synthesis, has been undertaken on rapid change effects. Two specific cases are addressed next. The number of studies in this domain has also grown rapidly over recent years. Mattmann et al. (2016) undertook meta-analysis of 32 papers, from 1988 to 2012, all of which elicited economic values by stated preference methods (either contingent valuation or choice experiment). There were no observations based on revealed preferences. The effects valued in the 32 studies reflected the non-market valuation literature with visual impact as the most studied effect followed by air pollution and climate change. Nearly two-thirds of the papers valued visual effects, 53% valued air pollution and climate change, 22% valued effects on fauna and bird life, while 16% looked at noise impacts. The study warns that the results should be treated with caution because of many methodological issues, but concludes (p. 33) that “The meta-analysis confirms that the utmost care must be taken with respect to visual impacts that are directly caused by wind turbines. To conclude, visual impacts as direct externalities of wind power affect welfare measures significantly and are of high policy relevance whereas indirect (avoided) impacts caused by conventional sources of electricity do not have such effects”. Wen et al. (2018) focussed specifically on visual impacts and included three contributing factors in the analysis: the distance to residential/coastal areas, the number of turbines and turbine height. They first looked at prior synthesis studies and identified three examples of narrative syntheses (Strazzera et al. 2012); Ladenburg and Lutzeyer 2012; Knapp and Ladenburg 2015) and three examples of meta-analysis (Mirasgedis et al. 2014; Bigerna and Polinori 2015; Mattmann et al. 2016). According to Wen et al. (2018) these studies provided useful insights, for example, that offshore wind farms are generally preferred than onshore wind farms (Mattmann et al. 2016; Mirasgedis et al. 2014) and willingness-to-accept (WTA) estimates are statistically larger than willingness-to-pay (WTP) estimates (Bigerna and Polinori 2015; Mirasgedis et al. 2014). Furthermore, people significantly prefer locating wind farms further away from housing (Bigerna and Polinori 2015; Mirasgedis et al. 2014), but there is a distance decay effect, i.e. the marginal benefit of moving wind farms away decreases with distance (Knapp and Ladenburg 2015; Ladenburg and Lutzeyer 2012). However, Mirasgedis et al. (2014) and Bigerna and Polinori (2015) did not include two important wind farm attributes that are closely related to the level of visual impact, i.e. the number of turbines in the wind farm and the height of turbines. Bigerna and Polinori (2015) only considered onshore wind farms. Bishop’s (2011) study undertook no meta-analysis (despite the title) but sought to “establish some firm knowledge about how various design and planning variables contribute to expectations and responses to wind farm development. The analysis considered the variables in terms of the provoked affective and cognitive responses since there are clear indications that both are at play in the public response” (p. 4162). While some studies had similar findings with respect to affective response, these tended to be in relation to factors with a very strong expectation of such a result. For example, Torres-Sibille et al. (2009, p. 47) and Tsoutsos et al. (2009, p. 552) both found increases in impact with numbers of turbines, but the former study identified a levelling off of impact at 15% of the view, while the latter suggested no such plateau. Somewhat more recently Rosenberger and Smith (1998) reviewed the literature (15 USA-based studies) on the non-market effects of pests on US forests. At the same time, they drew some more generic conclusions about factors that enhance scenic beauty: large/older dominant trees, mix of species, low density of trees with grassy understory giving a parklike appearance. They also reviewed evidence on the consequences of changes to the forest as a result of natural events or management practices and reported that presence of visible damage, dead/dying trees, fire damage, harvesting and slashing have negative impacts; regeneration, thinning and post-fire recovery are positive influences. They conclude (p. 28) that: “With the preponderance of evidence suggesting that insects do cause significant economic damage to environmental resources beyond market commodities in the short term, site-specific information is beneficial to the management decision process”. In other words, generic results still frequently give way to site specifics. Gundersen and Frivold (2008) reviewed the evidence from 53 quantitative preference surveys undertaken in Finland, Norway and Sweden. Their paper is a synopsis of findings which are summarised in the abstract as “A common feature was that people’s preferences for a forest stand increased with increasing tree size and advancing stage of stand development. Some surveys indicated that the public tended to give high scores to irregular stands with a mixture of trees of different sizes, but on the other hand, a feeling of accessibility and provision of a view was also very important. Large clear-cuts and obvious traces from forest operations were little appreciated”. (p. 241) The authors argued that meta-analysis was impossible because of the diversity of stimuli, survey and sampling methods. Lothian (2017, p. 352) summarised his review of around 20 forest-related papers by saying: “Forests are preferred with moderate density, not too dense but also with a spaciousness of openings and the ground cover being visible. People are definite about what they dislike in forests—images of slash, downed trees and especially clear-cutting which destroy the illusion of a natural forest”. None of these cases of evidence synthesis, which between them covered nearly 150 instances of peer-reviewed quantitative research, ventured a summary with any greater depth or precision than the quotes from Gundersen and Frivold (2008) and Lothian (2017) in the paragraphs above. While there is a wealth of seemingly useful information it is clearly very difficult to summarise except at a rather superficial level. For example, people like forests to either be natural or appear natural. This is a disappointing outcome and makes the translation into management policy difficult as reported in Sect. 3.1. It is clear from the above review of even synthesised evidence that there is a dearth of solid, unequivocal, unambiguous, context-independent knowledge that is readily applicable to guideline, decisions or policies. There are many examples spread across numerous jurisdictions of regulatory landscape agreements. Some seek to encompass all aspects of landscape change as a multilateral agreement (e.g. The European Landscape Convention), while others are much more focused. Many jurisdictions have developed guidelines for the kind of visual impacts that must be reported prior to development of a wind energy installation. A study undertaken by the University of Newcastle (2002) for Scottish Natural Heritage (SNH) extensively reviewed the literature of that time and also compared the as-built conditions of eight onshore wind farms with their prior impact statements. SNH has subsequently published a number of guideline documents setting out the analyses that proposers of wind farms are expected to undertake. One example (Scottish Natural Heritage 2012) considers both visual impacts and impacts on birds. Interestingly, the section on birds references a number of scientific studies, but the section on visual landscape impacts includes no reference to empirical studies—not even their own commissioned analysis. Even if the prior studies were influential in establishment of the guidelines, there is no capacity for an interested stakeholder (developer or opponent) to trace back to the original sources. In the USA, the National Parks Service (Sullivan and Meyer 2014) provided a “guide to evaluating visual impact assessments for renewable energy projects” (title). This guide does draw significantly on the visual assessment literature but is not, however, a policy document, but “detailed information to assist park and regional resource managers in evaluating the adequacy of visual impact assessments” (p. xiii). Nevertheless, this document does endeavour to integrate meaningful research and is an example that others could follow. assessment of cumulative impacts linked to transmission lines or other approved or operational wind farms in the locality. The NSW guidelines were updated in 2016 and referred to empirical studies (some in peer review journals) in justifying an approach to impact assessment based on distance zones and landscape quality classifications. However, their distance threshold for mapping cumulative impacts used outcomes from 15-year-old research (Bishop 2002) that was based on much smaller turbines than those commonly being installed in, or since, 2016. “Ensuring all turbines look alike, have a clean, sleek appearance and that the blades rotate in the same direction. Minimising the number of turbines, as appropriate, by using the largest possible model (subject to the visual absorption capabilities and environmental considerations of the site) rather than numerous small ones. Siting the wind farm, ancillary buildings, access roads and transmission infrastructure to complement the natural landform contours and landform backdrop, including ridgelines. Ensuring the choice of materials and colour (e.g. off-white and grey for turbines, low contrast for roads) for the development complements the skyline and the backdrop of the viewsheds. Minimising removal of vegetation and using advanced planting of vegetation screens as visual buffers where appropriate. Ensuring good quality vegetation and landform rehabilitation, onsite and off-site, where appropriate. Locating turbines to reflect landscape and topographical features (e.g. a random pattern may suit a rolling, varied landform and a linear pattern may suit a coastal edge, farm or industrial site). Avoiding clutter, such as advertisements and apparatus”. These guidelines do not cite any background research. Several suggestions such as screening with vegetation and avoiding clutter seem like good common sense. However, some are unsubstantiated and possibly inappropriate (e.g. use of off-white or grey for turbines), while others in fact contradict the limited available research. For example, Tsoutsos et al. (2009, p. 552) reported that in their study that one 5 Mw turbine provoked more negative reaction that the use of several smaller turbines producing the same power output. This is a research result quite at odds with the guideline suggesting use of the “largest possible model”. The overall pattern is not encouraging. Some documents, such as the Sullivan and Meyer (2014) guide, do make good use of research. However, this example is not a policy document. Some requirements appear to be well founded but fail to cite the research which would permit policy review. In the worst cases, recommendations can be contrary to research findings or fail to consider the influence of changed technology (e.g. much larger turbines). Ode and Fry (2002) reviewed 24 management guidelines for urban woodland in Sweden and the UK. They argued that visual aspects were used within these guidelines following both expert advice and in response to public preferences revealed by research. They also say, however: “The importance of visual aspects is recognised in most of the guidelines as an important element though, in most of the cases, not a high priority. The reason for this situation must in part be due to the lack of coherent and applicable results from landscape preference and aesthetics research. This inability to provide clear and comprehensive guidelines for managers regarding visual quality might be explained by the diversity of approaches for analysing and discussing visual aspects in landscape research (see Zube et al. 1982, p. 22) thereby causing confusion for managers when searching for guidance”. This is contrasted with the utility of research on forestry and ecology which allows guidelines to be more concrete and specific. Successful translation to policy is, however, also doubted in this domain. Conrad et al. 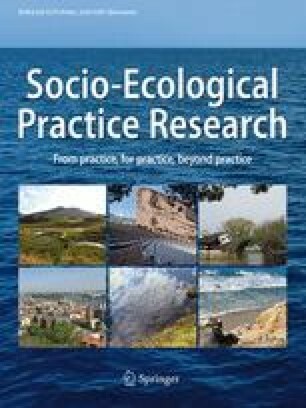 (2011, p. 2106) were also not optimistic citing limitation to the use of research in landscape policy as “including little cross-fertilisation across disciplines, the lack of accessibility/comprehendability of landscape ecological research to those outside the field, and the orientation of much research towards theoretical rather than practical implementation”. They also argue that the degree to which journals pursue a relatively narrow niche means that “researchers are effectively ‘preaching to the converted’, and mostly to those who speak their own language”. In the 1970s, the Forests Commission in Victoria, Australia developed a Visual Management System (VMS) based on a US model by landscape architects imported from the USA. As Williamson and Calder (1979) discuss, this was based on prior perceptual research and they mention several authors including Brush and Shafer (1975) and Kaplan et al. (1972). They draw on this work to indicate that the VMS may be safely based on assumptions that (p. 330) “scenic quality increases as: (1) topographic ruggedness and relative relief increase; (2) presence of waterforms, water edge and water area increase; (3) vegetative patterns become more diverse; and (4) natural and agricultural landscapes increase, and other man-made landscapes decrease”. Although no longer in use, this VMS was meant to constrain forest practises in Victoria such that the aesthetic values of the landscape were protected. It was based on synthesis of the best research available at the time—and would likely use very similar assumptions if implemented today. However, Grieg (1986, p. 201) reports: “Somehow, though, the proposed constraints were regarded as too costly in practice, or maybe they embodied an attitude that simply didn’t reach the grassroots. Whatever the reason, it was just too easy to find examples of forestry operations that had been done insensitively. Those operations may not have violated the letter of other environmental care prescriptions (which were mainly designed to protect streamflows and habitat) but they often didn’t show much aesthetic sense”. A case in which the results of visual preference research influenced environmental management policy is reported by Neyland et al. (2012). Alternatives to forest management practices were trialled in Tasmania, Australia. Aesthetics was not the explicit response studied but was a strong implicit driver of social acceptability. In the Tasmanian case, there was no synthesis with other visual perception studies, but there was synthesis with research into forest safety, productivity, economics, old-growth biodiversity, and silviculture (i.e. regeneration levels). The initial social acceptability work was reported by Ford et al. (2009a). They derived social acceptability ratings for a range of silvicultural alternatives to the clear-fell, burn and sow system, presented to viewers using a series of still images representing the treatments 1 year after completion of harvesting and regeneration. For the general public, acceptability increased with the proportion of forest retained. Selective harvesting was the most acceptable, and aggregated retention systems were more acceptable than clear-felling. The acceptability of aggregated retention was greater than for dispersed retention systems of similar harvest intensity. Provision of further information, outcomes not evident in the still images, increased the acceptability of the aggregated retention systems (Ford et al. 2009b, p. 1158). Neyland et al. (2012, p. 160) reported: “Overall, our synthesis of research findings supports previous preliminary assessments of the suitability of aggregated retention silviculture for use in tall wet old-growth eucalypt forests (Forestry Tasmania 2009) and supports the earlier management decision by Forestry Tasmania to commence operational aggregated retention harvests. Aggregated retention is now the preferred alternative to clear-felling in tall wet eucalypt forests where the management objectives include the retention of old-growth elements at the stand level”. still or flowing water enhancing the attractiveness of a wooded landscape”. This set of finding that have informed UK forest policy has distinct similarities to the list that Ribe (1989, p. 70) put forward as accepted knowledge: “big trees are attractive, moderately stocked more open stands are preferred, ground slash and other evidence of harvests are disliked, ground vegetation enhances forest scenes, evidence of fire detracts from beauty, and species variety can enhance the same”. The key common element is preference for the forest to appear natural and diverse. As discussed in the introduction, two main paradigms of landscape assessment have been widely identified—but not consistently named. Leaving aside the objective/subjective language because of the confusion induced by phrases such as “objective evaluation of subjectivity”, these can perhaps most easily be distinguished as a paradigm based on expert judgment of the degree to which a landscape meets establish pictorial standards (Bureau of Land Management 1980, USDA Forest Service 1995), and a paradigm based on research into public perceptions. Ribe (2018, p. 47) summarises the many objections to the use of pictorial standards, but then acknowledges that: “Prevailing professional … landscape assessment methods under NEPA typically make little use of public participation other than through proforma meetings and hearings. They rarely use research findings pertinent to the relevant landscape’s socio-cultural context or visual impact types that have been investigated in studies of public perceptions of similar landscapes elsewhere. Professional assessments instead almost always rely on accepted methods limited to evaluative descriptions of landscapes and proposed changes against largely formalist, pictorial standards”. Amongst the reasons listed by Ribe for this situation is that (p. 48) “Researchers have not produced public perception derived findings consistent across many landscapes”. In other words, in Ribe’s view, all this evidence synthesis has led to insufficient applicable and consequential knowledge for public input to become more persuasive than expert based views on pictorial standards. Given that evidence synthesis reveals that knowledge gaps and uncertainties still exist, where should the research community go from here? While continuation of experimental studies will help by provision of further fundamental knowledge, the aims of that research should be informed by awareness of the reasons that decision-makers are not making regular use of the current body of research. Amongst possible fruitful directions are: closer liaison between policy makers and researchers in setting research priorities; systematic evaluation of the rigour and reliability of evidence synthesis methodologies; and, a search for opportunities to merge landscape perception knowledge with public participation processes and multicriteria methods. The gap between landscape research and application has been clearly identified by a number of authors. Conrad et al. (2011, p. 2097), writing about landscape research, state: “Policy and academia have often been conceived of as two distinct cultures, with different objectives and priorities, shaped by the implicit expectations and values of their respective environments”. According to Conrad et al. (p. 2097) we need to ensure that “(1) academic research is of pragmatic relevance, and (2) policy development is informed by robust academic work and rigour”. Of course, what seems to be pragmatically relevant to a researcher may seem like ivory tower introspection to the policy maker. A review evaluation process has been developed by The Collaboration for Environmental Evidence Assessment Tool (CEESAT, Woodcock et al. 2014, pp. 57–58) and consists of a set of 13 criteria designed in alignment with environmental systematic review methodology (Collaboration for Environmental Evidence 2013). The criteria cover the processes of study search, study selection, critical appraisal, data extraction and data synthesis. Points are assigned to each of these factors, and also to consistency of the process with a priori protocols, in assessing the reliability of reviews in terms of their objectivity, transparency and comprehensiveness. The distinctions between scenic and ecological aesthetics and affective and cognitive responses and their parallel with the modulation of visual responses that come with information provision has a further parallel with the distinction between α-perception and k-perception proposed by Fernandes et al. (2015, p. 7) and discussed, in a land use context, by Fernandes et al. (2019). They identify two kinds of benefit perception:  immediate and primary satisfaction (α-perception) with indifference to the means and resources that are necessary to obtain it; and  a more mediate and complex form of satisfaction, implying long-term perceptions and benefits beyond the specific and immediate interest of individuals and groups (k-perception). They argue that the latter satisfaction is intrinsically rational and its realisation requires enforcement of constraints on short-term satisfaction. The implication for landscape research is that it may not be adequate to understand simply people’s α-perceptions, we also need to explore more closely their value-dependent k-perceptions. It seems that information-mediated, and thus cognitive, responses to landscape changes, both scenic and ecological, need more intensive and integrated investigation. The lines of enquiry pursued by Sevenant and Antrop (2009), Ford et al. (2009b), (2014) are promising directions towards research outcomes that are immediately meaningful to decision and policy making. Also, potentially valuable is the Schön–Stokes model of research in socio-ecological systems proposed by Xiang (2018, p. 2). The four quadrants of this model, which is based on axes relating to both the levels of practical and theoretical emphasis of a research project, have been used to designate the types of research article sought by this journal (SEPR). These relate specifically to research on the link between socio-ecological research and practice. In particular: (a) use-inspired basic research on knowledge co-production in the context of practical application, (b) pure and applied research on knowledge transfer, (c) action research for knowledge implementation (existing theories applied in problem-solving), and (d) follow-up research on knowledge impact and implementations. This paper has reviewed aspects of knowledge co-production through evidence synthesis and sought for positive examples of knowledge impact and implementation, it has not dwelt on specific theories or examples of knowledge transfer nor the processes employed within knowledge client organisation for knowledge implementation. However, a number of papers referenced here do explore these issues (e.g. Cvitanovic et al. 2017; Dramstad and Fjellstad 2011; Pullin et al. 2004). Part of the problem of lack of impact and implementation may be a result of the attitudes of decision-makers as much as of the insularity of the researchers. Cooke (2018, p. 6) points out that informal and prolonged contacts can create the personal chemistry that helps the researcher and policy makers better understand their respective ways of thinking and knowing. On the other hand, in relation to scenic landscapes, it may be that each case is so different that generalised knowledge of human perceptions is inadequate to the task of policy support. Public participation processes are generally case specific and research into valid public participation processes (e.g. Sheppard and Meitner 2005) does not actually produce new knowledge about the consequences of different management options. Similarly, the literature’s vast collection of studies of the use of multicriteria decision methods (MCDM) are valuable for thinking about how to set policy, but they do not themselves inform policy in the way that scientific research or even perception research does. Finding ways to combine scientific evaluation of perceptions with multicriteria methods—such as MCDM, optimisation, geodesign and additional public participation processes, is currently a wide open field. The potential for approaches which bring together the empirical research with public participation processes and multicriteria methods should be explored.